Combined overload and underload detection. 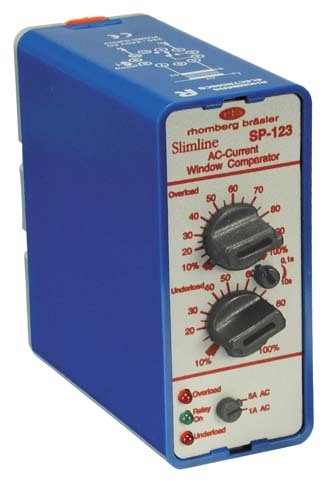 Direct interface to DC shunt resistors. Start-up delay 10 sec fixed. Adjustable time delay on trip 0.1 to 10 seconds. 1A or 5A, AC input range (programmable). Internal shunt for direct in-line current sensing (AC). 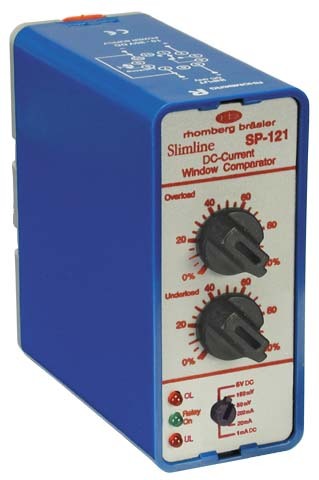 Direct interface with conventional current transformers. Separate adjustment of overload and underload setpoints. Adjustable response time on trip (0.1 to 10 seconds).